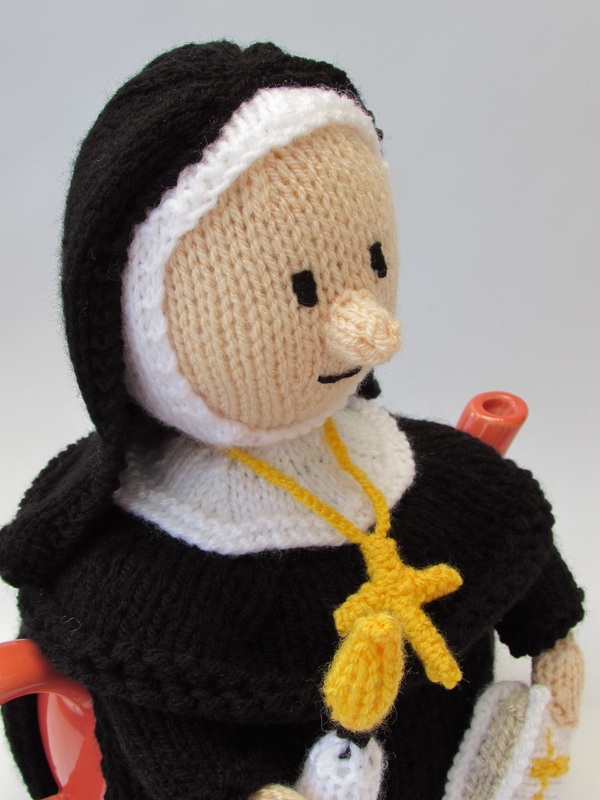 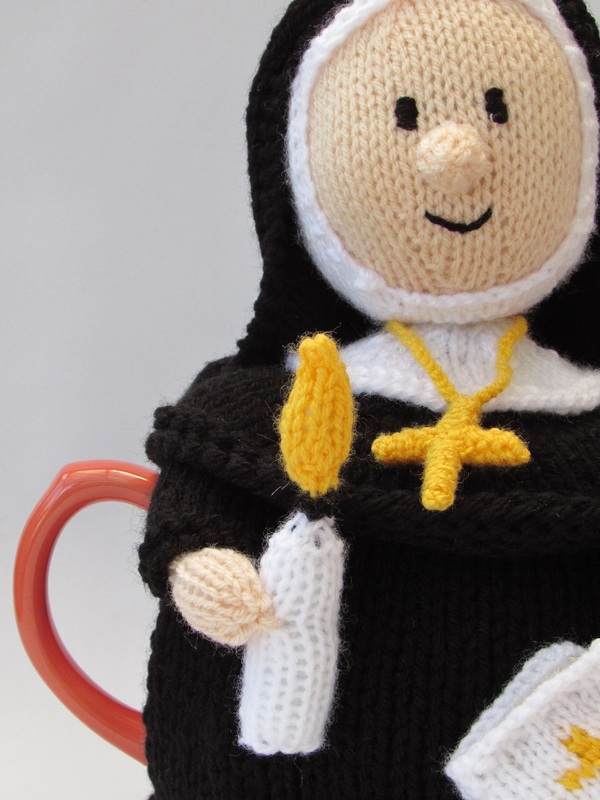 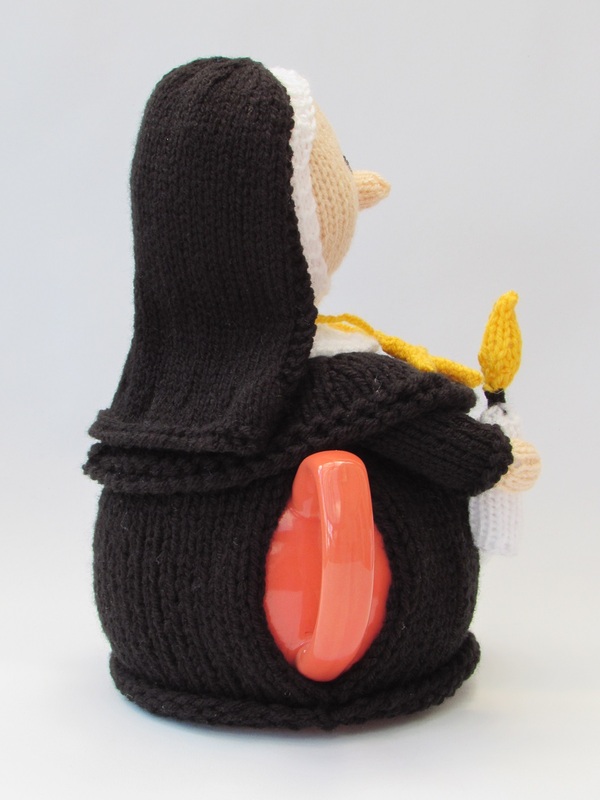 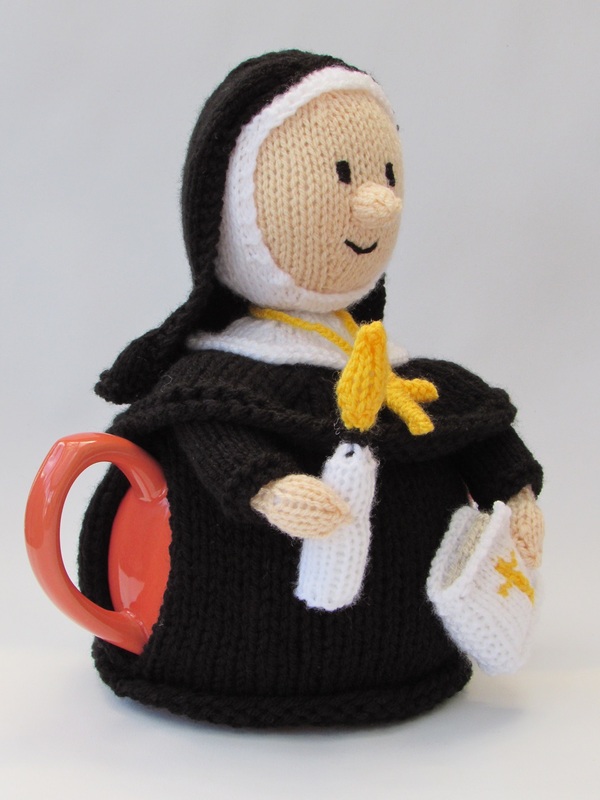 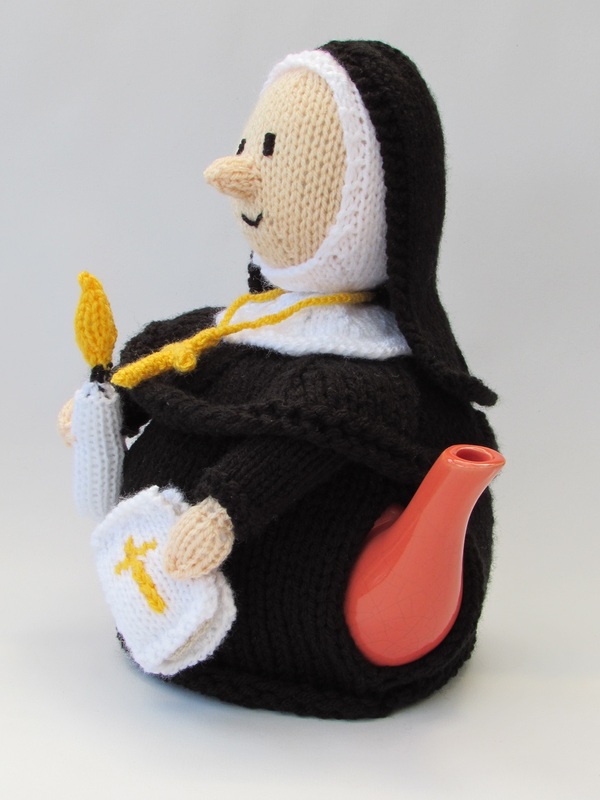 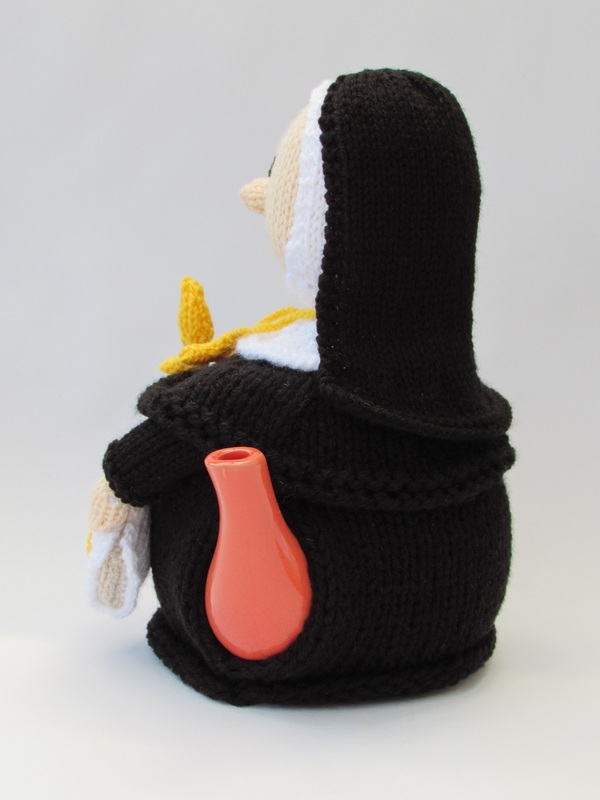 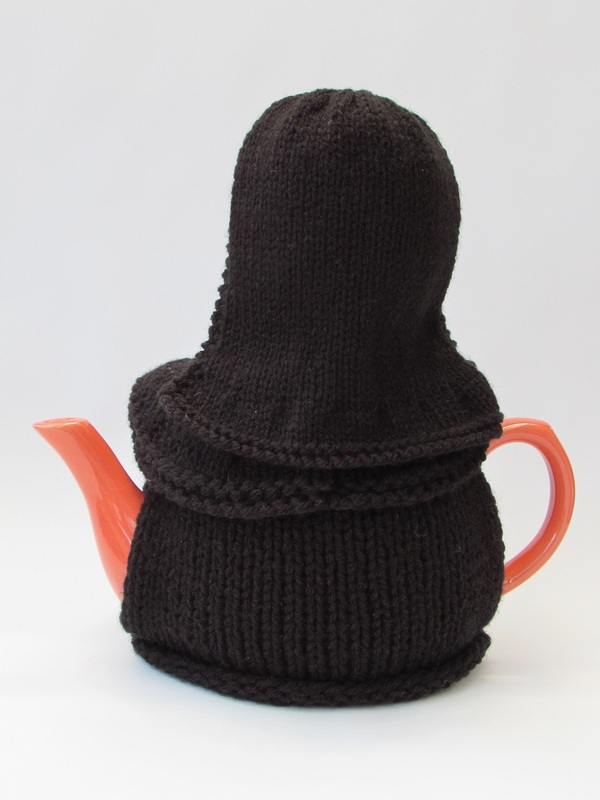 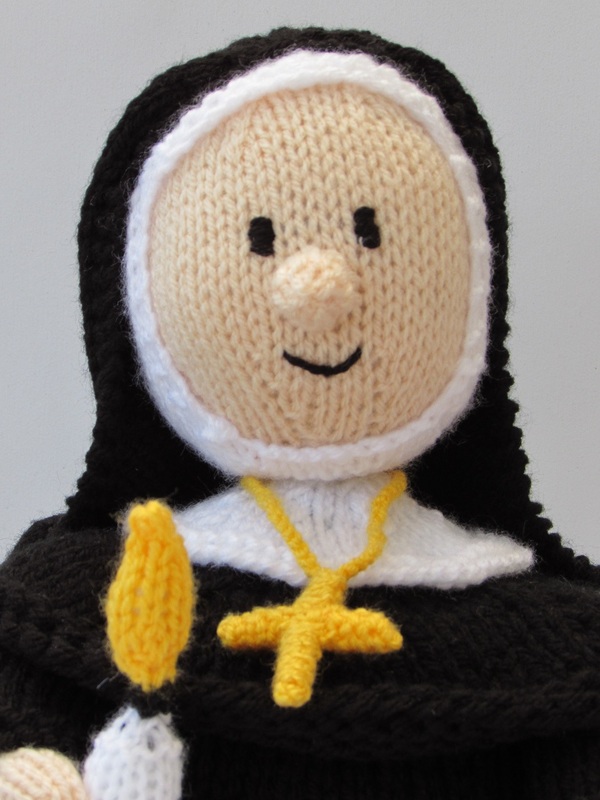 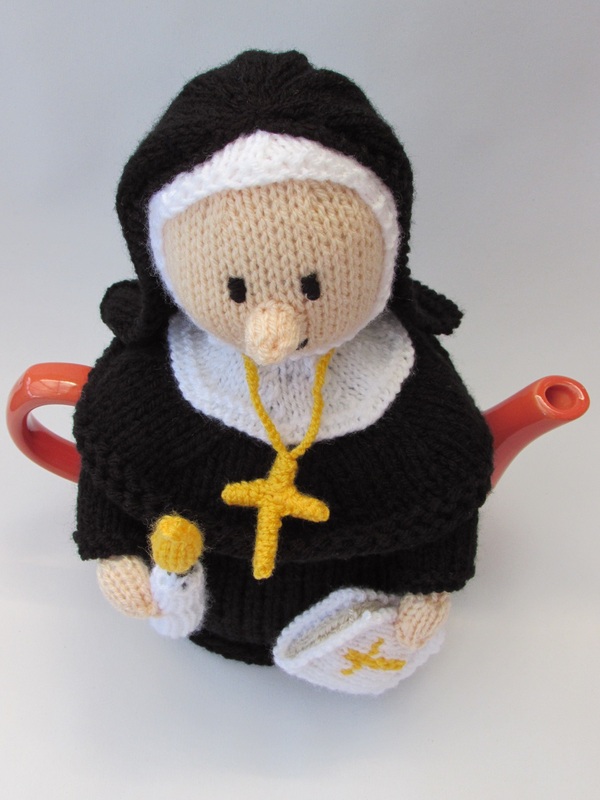 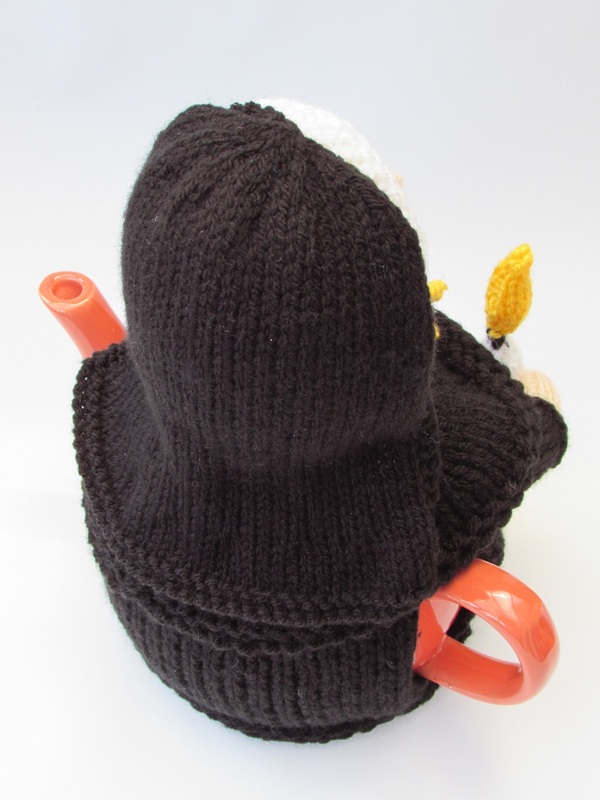 I was commissioned to design a Catholic Nun style tea cosy in her black habit with a white hood under a black veil. 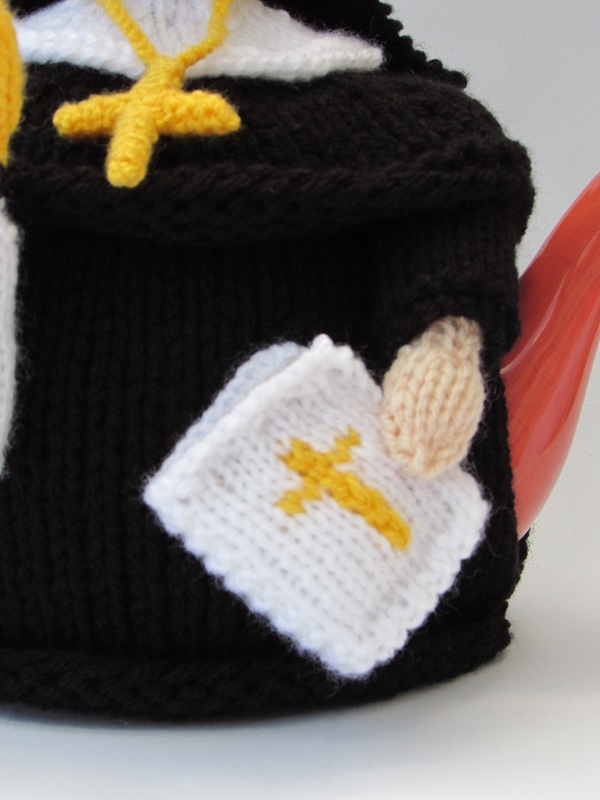 As added decorative touches, I gave her a crucifix necklace, a bible and a candle, representing the light of Christ. 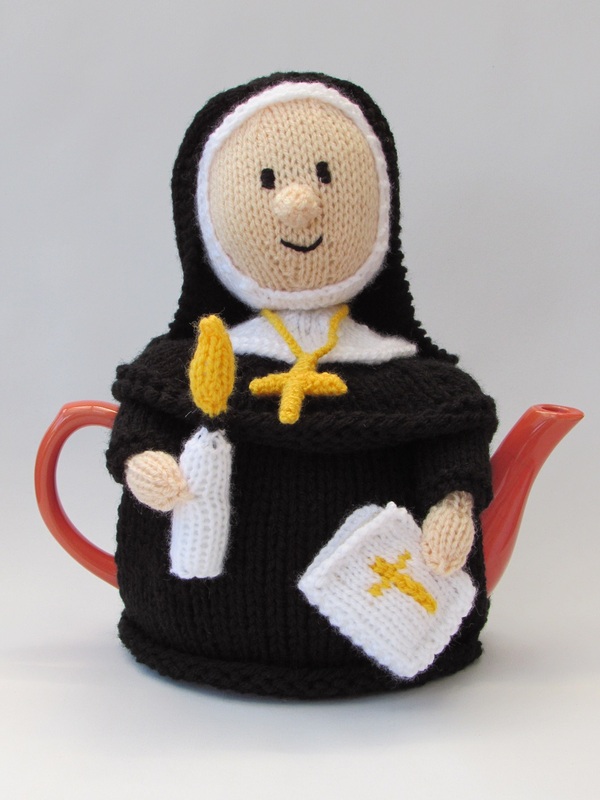 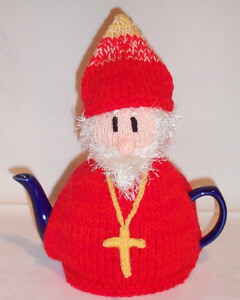 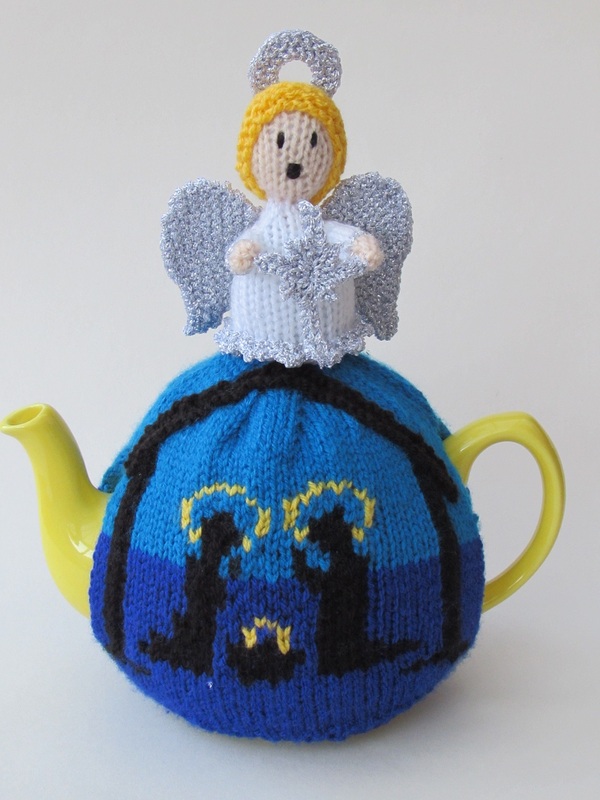 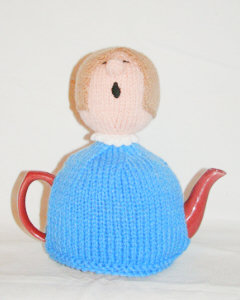 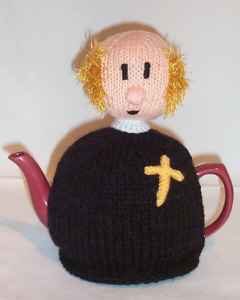 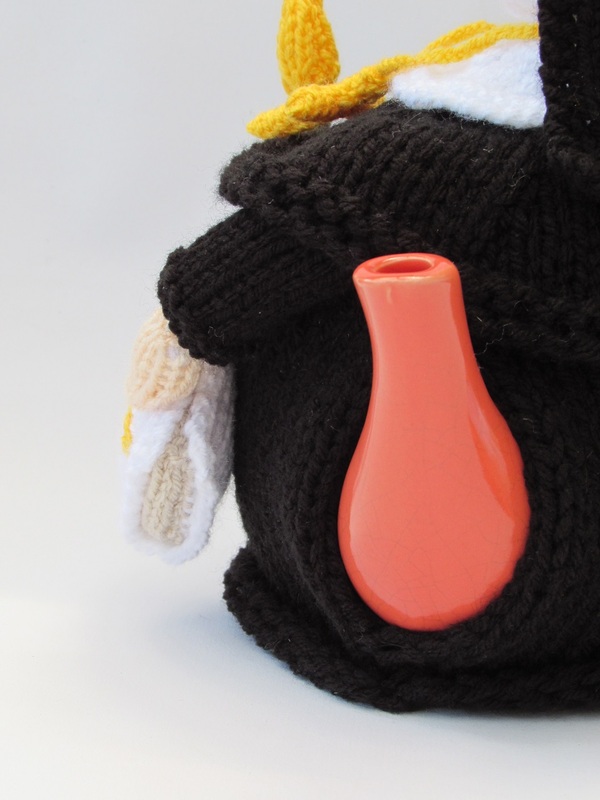 She's a lovely tea cosy and brings a scene of calm to tea time and makes you feel "the hills are alive, with the sound of music"